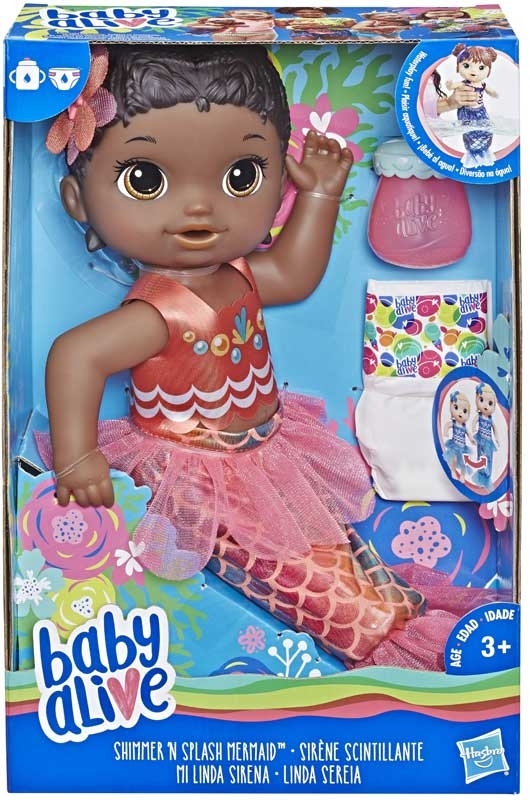 Shimmer ‘n Splash Mermaid makes a splash with tons of fun in and out of the water! 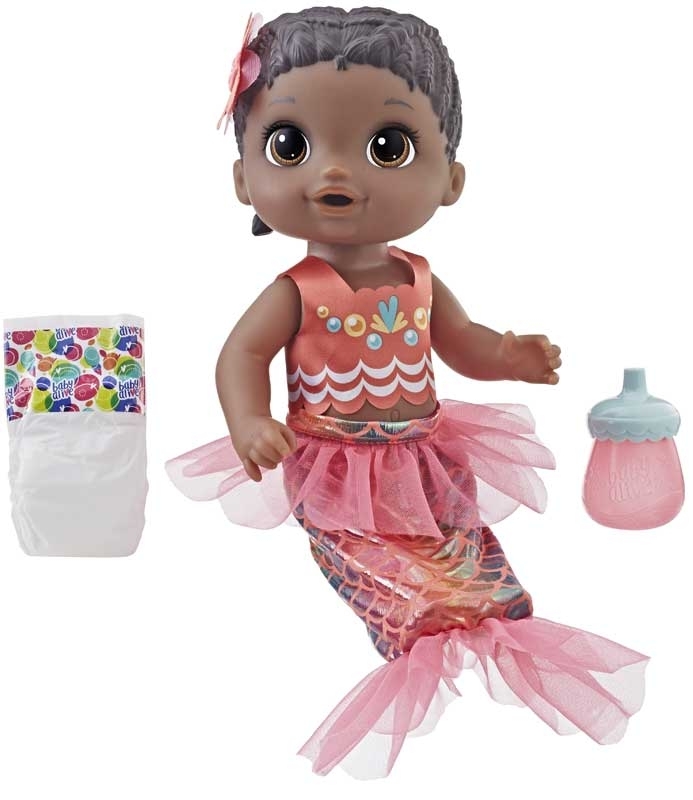 Just pull down her skirt and transform her from a baby into a mermaid with a shimmery, dazzling tail. Now kids are ready to splish, splash and play all day. When she’s out of the water, kids can care for baby by giving her a bottle. She drinks and wets her diaper too. 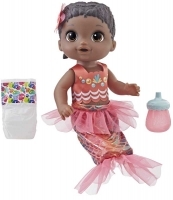 She comes with removable top, removable mermaid tail swimsuit bottom, bottle and diaper.